At André Beverly Hills, we know the importance of looking your absolute best. That's why we're your premier destination for male grooming, hairstyling, and skin care. We are the best barbershop in Los Angeles and Beverly Hills. Also we are gaining grounds as the best hair salon in Los Angeles and Beverly Hills as well. The experience is refreshing and the quality of work is impeccable, resulting in exceptional service for both men and women. 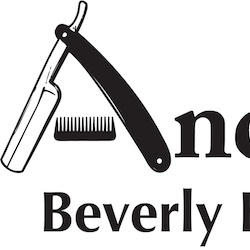 Located on Robertson Blvd just walking distance northeast of Wilshire in Beverly Hills, CA, André Beverly Hills has over 20 years of experience catering to all hair types and styles.